If you look carefully at the above example of insert query in mysql then you can probably notice the statement of ‘mydb.commit ( )’. It is important for you to know that this statement is used to make the necessary changes to the table. If you forget to use this statement then no changes will be made to the table. If you wish to insert a large number of rows in a table then you can do that too by using the executemany ( ) method. This method has quite a few parameters and the second parameter of this method of insert query in mysql is actually a list of tuples. This list of tuples contains the data that you would want to actually insert. If you wish to fill the table named ‘customers’ with data then the mysql insert example for this is mentioned below. If you wish to get the ID of the particular row that you inserted then you can do that by asking the particular cursor object. It is also important for you to know that if you had inserted more than a single row then the ID for the row that you inserted last will be returned. The mysql insert example for this is mentioned below. 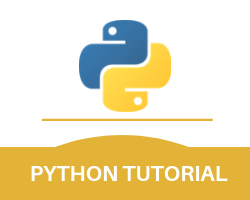 With this, we finish the Python insert multiple rows part of our Python MySQL Tutorial.